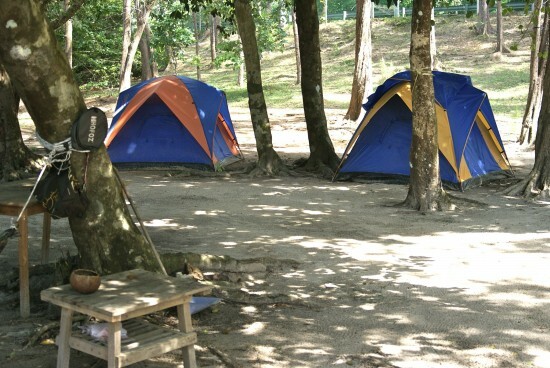 Nowadays Langkawi boasts enough budget accommodation to make camping to save money unnecessary. Nevertheless, camping options have increased as adventurous visitors look for an opportunity to sleep under the stars. Here are a few of our favourite tent-worthy spots. They don’t call this Green Valley for nothing. 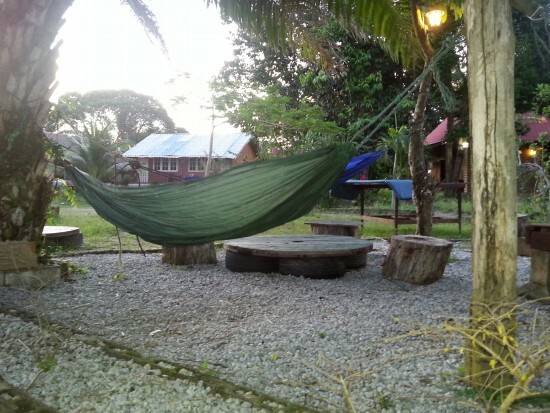 In Pantai Cenang, Rumours Guest House have cosy new dorms for just 25 ringgit per person, but for 5 ringgit less, you can camp in the great outdoors. Included in the price is a tent along with shared toilet and cold water showers. You will have to pitch the tent yourself, but that’s part of the adventure, right? 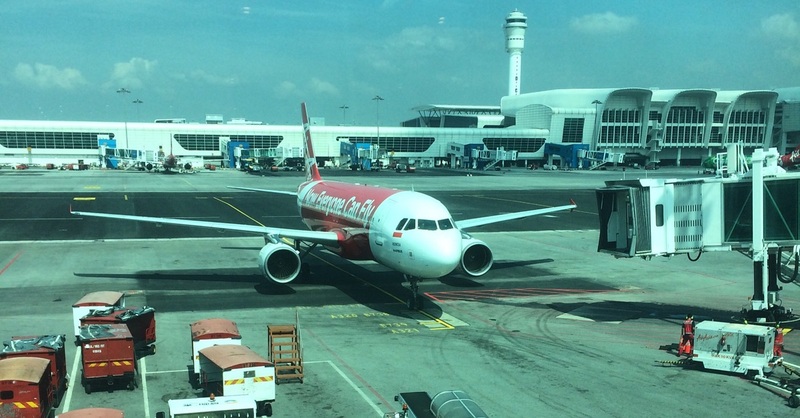 The location is a short walk from the white sands of Pantai Cenang as well as the busy tourist area. If things get too rustic, the property also has an excellent open-air common area with a flat-screen TV, a pool table and free WiFi. Rumours is down right homey! Further north across the island on remote and picturesque Skull Sand Beach (Pasir Tengkorak Beach) is Mona’s Resort. They offer campers a shady waterfront spot for 10 ringgit per person inclusive of the use of toilets and showers but exclusive of a tent. There is a cafe, but the hit or miss hours of operation may not coincide with your appetite, so be prepared with basic provisions. All’s well on the Skull Sand beach home front. 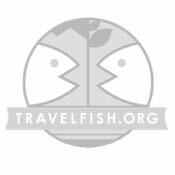 Just east of Skull Sand Beach is Tanjung Puteri Hotel, which has a panoramic view of the sea and Thailand’s Ko Tarutao. 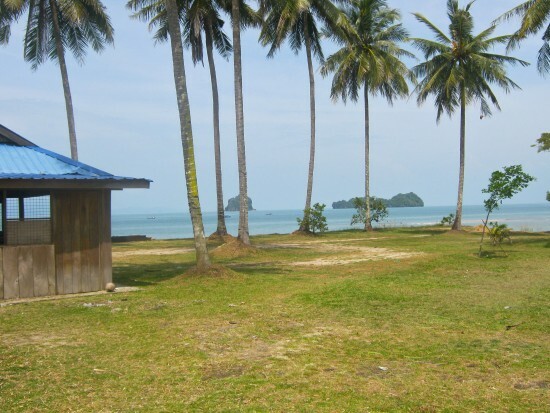 Tanjung Puteri offers a grassy knoll with a waterfront vista, a few picnic tables and an outdoor barbecue as well as shared toilet and cold-water showers for 10 ringgit per person. For provisions, a few markets that will cover the basics are within trekking distance. 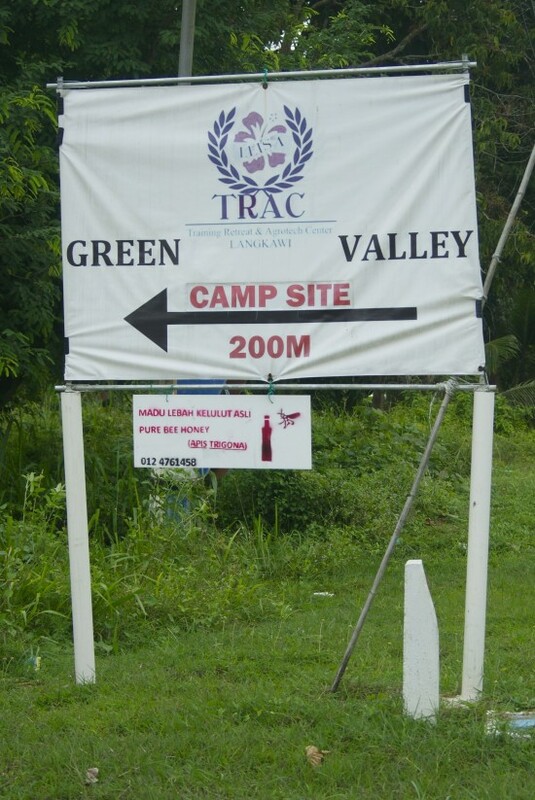 Inland from the northern coastline along Jalan Ulu Melaka, Green Trac Valley Langkawi (T: (012) 476 1458) was initially set up as a “farm stay” but has now given way to dorm facilities. 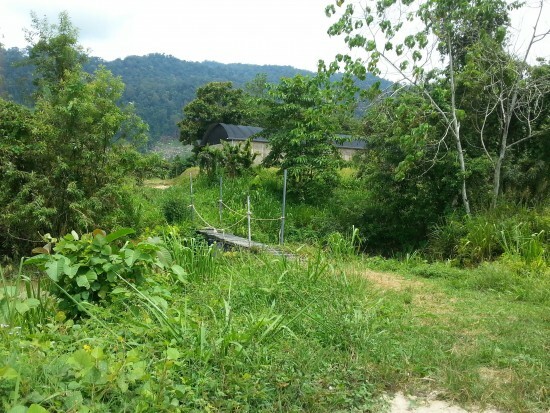 Camping in their wide open grassy fields with use of shared toilets and cold-water showers is available for 10 ringgit per person; dorms are also 10 ringgit per person. There are a few markets and roadside hawkers in the nearby area, but having your own transport would be advisable. A honey of a campsite at Green Valley. The area also hosts one of the more unique Langkawi cottage industries: stingless bee keeping. Set against the backdrop of Gunung Raya and surrounding rainforest, there is ample opportunity to commune with nature and possibly sweeten the deal with some fresh honey.